Started not finding boot devices one day. installed them without an issue. Install all updates. says to reboot. ok.
Then when it reboots it says the boot device cannot be found. if i press the media button, (one with the house on it) it will boot normally after showing the medialink screen or whatever that is called. i still have the original hard drive as i thought it was no good and didn't bother checking it. Did i miss something that it won't recognize the boot sector on a normal restart or boot up. if it makes a difference it can be put into sleep mode and come out fine. Insert your Vista disc, tap F8 repeatedly. This should give you the advanced boot options. 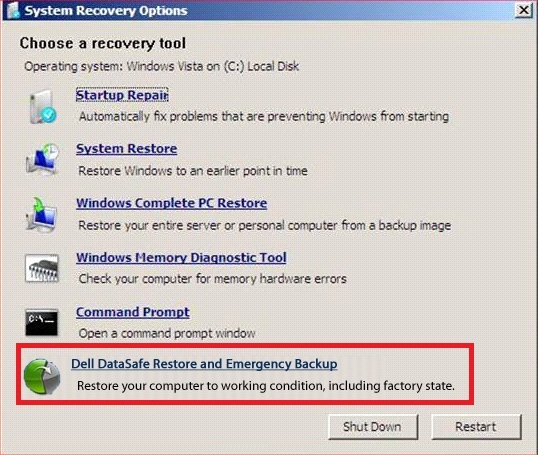 Select repair your computer and then select startup repair. Let me know of the findings, Glad to be of assistance.